Population: The First Hill clinic provides over 15,000 patient visits per year. These visits encompass the full spectrum of primary care, including chronic disease management, preventive medicine, pediatrics, obstetrics and geriatrics. Our patient population is diverse in age, socioeconomic status, and ethnicity. 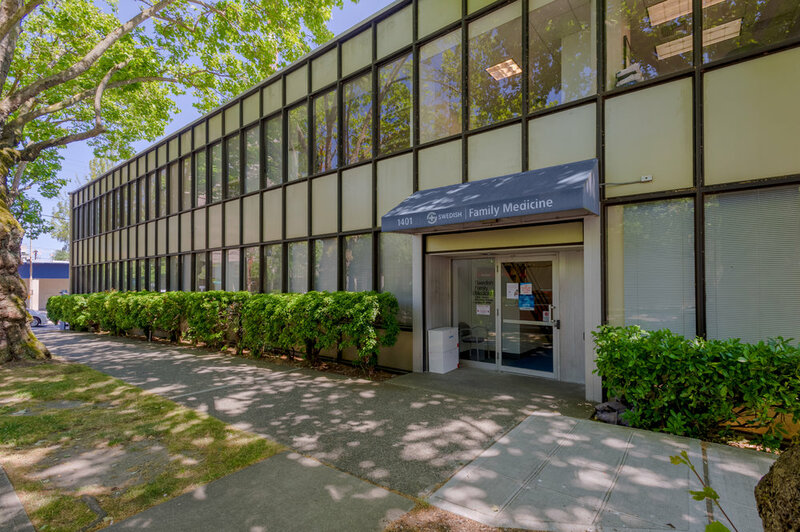 Location: Swedish Family Medicine - First Hill is located at 1401 Madison Street, one block north of the Swedish First Hill Hospital where the residency’s inpatient medicine, labor and delivery, surgery, and inpatient pediatrics rotations occur. The clinic is also home to the residency’s administrative team and meeting rooms for didactic sessions. Staff: The clinic utilizes a team-based approach to provide patient-centered care. Our providers include faculty, 18 residents (6 from each class), a physician assistant, dedicated nursing staff, and 2 patient care navigators trained in social work. Many of the faculty have patient continuity spanning over 20 years and multiple generations of families. We offer same-day appointments during all business hours. Payment Model: Approximately 60% of patients are insured by Medicare or Medicaid, 30% by private insurance and 10% uninsured. Many patients are from Seattle's East African, Asian, and Latino communities and we conduct many of our visits through video, in-person and phone interpreters. The First Hill Clinic offers numerous other specialty clinics that are staffed by residents and supervising faculty. These include: pediatrics, gynecologic procedures (colposcopy, LEEP, IUD, Nexplanon), neonatal circumcision, podiatry, sports medicine, geriatrics, ultrasound, and procedure clinic. The procedure clinic offers a variety of office procedures including excision and biopsy of skin lesions, removal of cysts and lipomas, paracentesis, thoracentesis and joint injections. Features: The clinic's EMR is EPIC, consistent with the other FHFM clinics and with the hospital EMR. The First Hill clinic has an in-house lab that is open during business hours. The clinic's nurses are trained to perform NSTs, EKGs, respiratory treatments and screening and vision examinations.